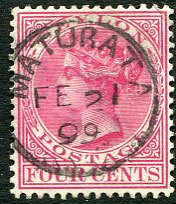 (T.3, D4) 21 FEB 05 on KE7 2½d (SG.63) piece. 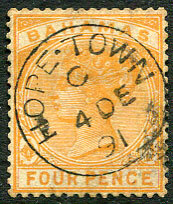 (T.3, D4) 31 MAR 25 on KGV 4d orange-yellow (SG.85) piece. 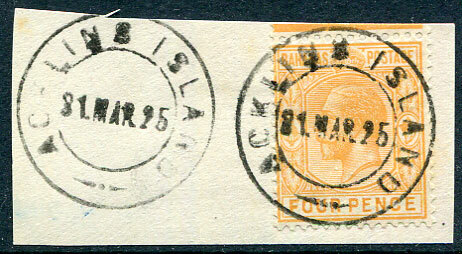 (T.2, 19mm cds with large letters wide M, D5) dated C/AU 20 8 (ERD, 8 for 89?) 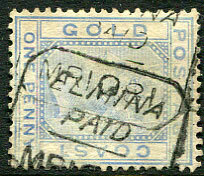 on QV ½d (SG.11). 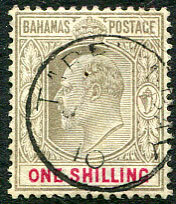 (T.17a, Mackin lists T.17 without the time code for 1914, Proud lists neither) dated 1916/OCT 26/7AM on KGV 1d PSE cut-out piece with added 2 x KGV 1d (SG.72a). 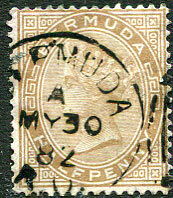 (142.03) C/JU 20 32 on KGV 3d (SG.159). 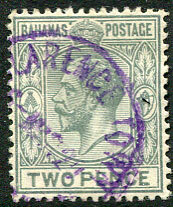 (T.7 1, D2) in purple dated 22 SEP 51 on KG6 1½d (SG.151) piece. 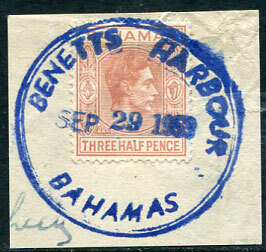 (TRD C1, D1) pert dated MAY 22 194- on KG6 1½d (SG.151). 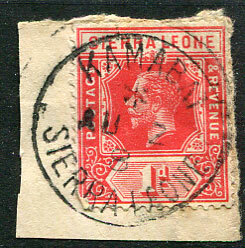 (PML.5) in red on QV 1d drab Crown CA REVERSED wmk (SG.39a). 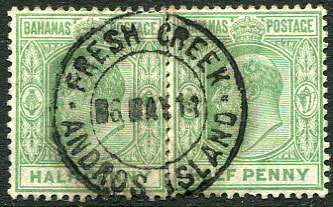 (072.03) */JA 18 37 on KGV 4d (SG.160). 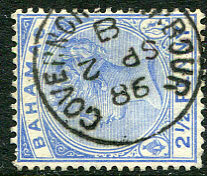 (T.5A, D5) A/NO 26 94 on QV 1/- (SG.18a). 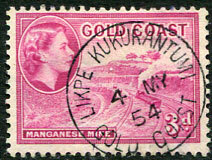 (206.01) */JU 2 37 on KGV 4d (SG.160). 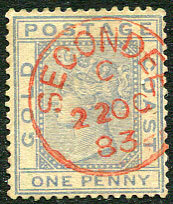 (T.1, D2) dated B/SP 2 86 (SP 2 inverted, 8 looks upright but might be year 98) on QV 2½d (SG.51). 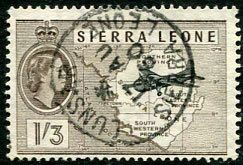 (164.03) sideways down C/JU 5 33 on KGV 4d (SG.160). 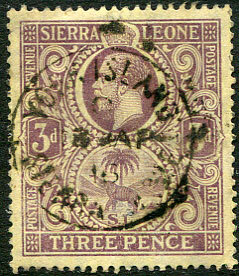 (T.5, D4) in purplish-black dated sideways up C/OC 8 02 (inverted "20") on KE7 1d INVERTED CROWN CA wmk (SG.39w, Cat.£160). 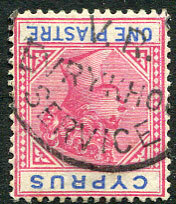 (027.01) */MY 17 33 on KGV 1d (SG.156). 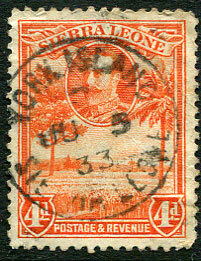 (T.1, D2) B/FE 25 98 on QV 1d (SG.49). 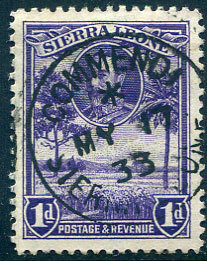 (057.02) C/JU 21 33 on KGV 2d (SG.158). 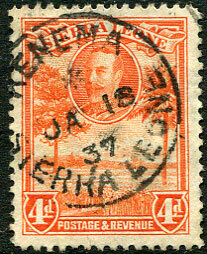 (015.02) C/4 FE 38 on horiz. 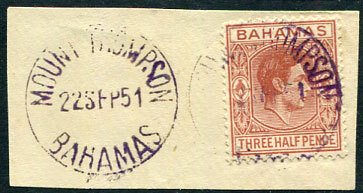 strip of three KGV 1d (SG.156). 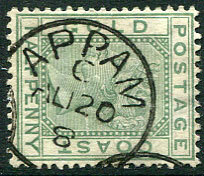 (T.2, scarce 20mm, D1) AP 2 78 on QV 6d (SG.8). 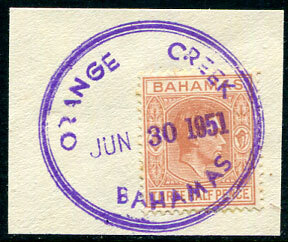 (TRD 3C, D1) in purple dated JUN 30 1951 on KG6 1½d (SG.151a) piece. 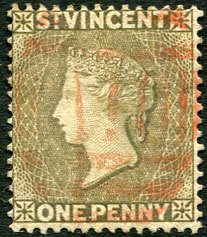 (T.5) C/OC 10 96 on QV 10/- dull mauve and carmine (SG.23a, Cat.£325), exceptionally rare on this issue. 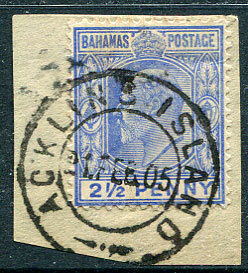 (T3a, D2) 6 MAY 11 on two re-united hinged together singles KE7 ½d (SG.71). 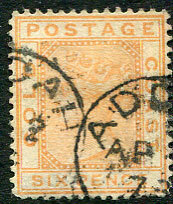 (T.1, D2) A/SP 8 11 on KE7 1d (SG.72). 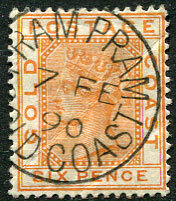 (164.03) C/18 AP 16 on KGV 3d (SG.116b). 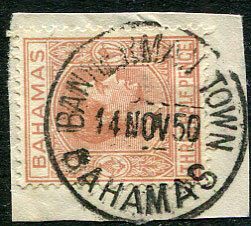 (T.3b, D3) 15 NOV 07 on KE7 2½d (SG.63). 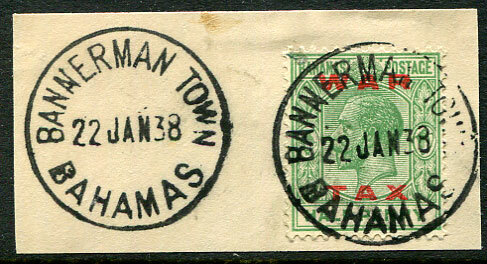 (T.1, D2) part dated -/J- -- 10 on KE7 1/- (SG.68, Cat.£55), unusual on this issue. 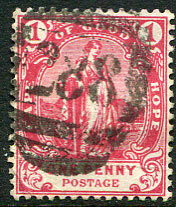 (D2) FE 21 99 on QV 4c (SG.149), thinned. 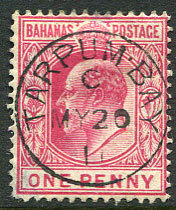 (T.7 II, D3) 22 JAN 38 on KGV ½d WAR TAX (SG.102) piece. 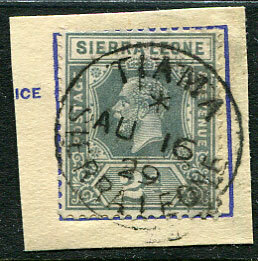 (T.7 II, D3) 14 NOV 50 on KG6 1½d (SG.151a) piece. 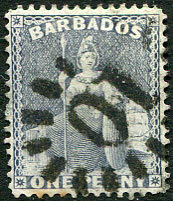 (T.3, PD1) MR 10 81 on QV 1d blue CA wmk P.14 (SG.5). 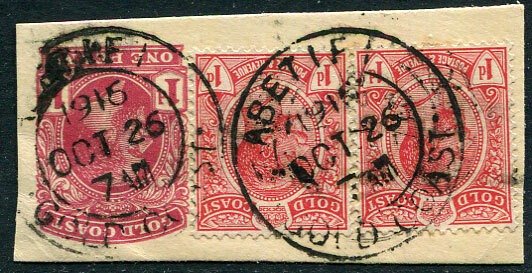 (T.2) in red dated C/22 OC 83 (ERD) on QV 1d blue CA wmk P.14 (SG.10). 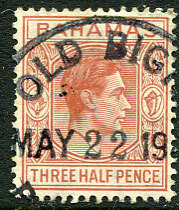 Currently the only known example on this issue. 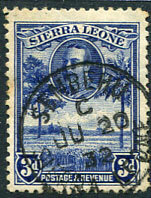 (T.7 I, D3) 30 DEC 48 on KG6 2d (SG.181) fragment. 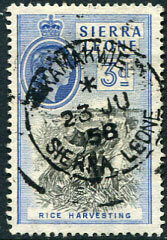 (C2) bootheel on (1d) grey-blue (SG.74), some toned perfs. 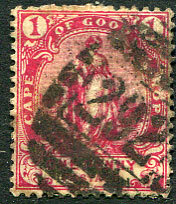 (T.1, D2) C/4 DE 91 on QV 4d deep yellow (SG.53), unusual on this issue. 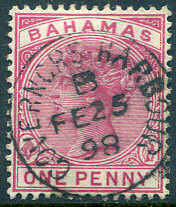 (151.01, earliest known strike, ERD opening 2nd office) */AU 16 29 on KGV 2d (SG.134) piece. 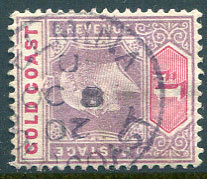 (151.01) */AU 23 29 on KGV 2d (SG.134), blunt corner perf. 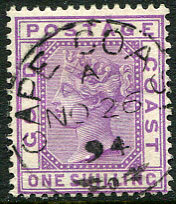 (T.7a, D3) in purple dated 6 MAR 20 on KGV 2d (SG.83). 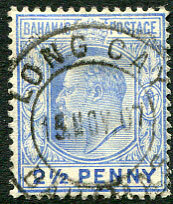 (TRD 2C2, D1) in blue dated SEP 29 1953 on KG6 1½d (SG.151a) piece. 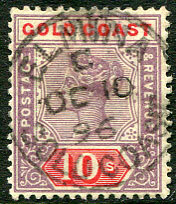 (089.02) */17 AU 60 on QE2 1/3d (SG.218). 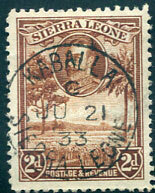 K3a cds portion dated A/MY 30 82 on QV ½d stone (SG.19) clearly showing the spacing between the numeral portion of the duplex. 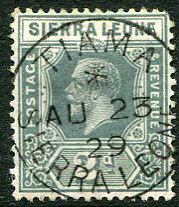 (T.5) 7 FE 90 on QV 6d (SG.17a), light diagonal crease. 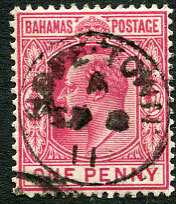 (T.1, D2) C/MY 20 11 on KE7 1d (SG.72), thinned lower left corner. 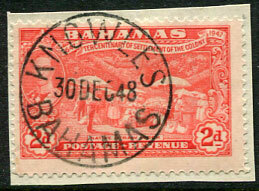 (060.00) */AU 2 8 (single digit year for 18), on KGV 1d (SG.113a) piece, unusual. (061.01) */23 JU 58 on QE2 3d (SG.214). 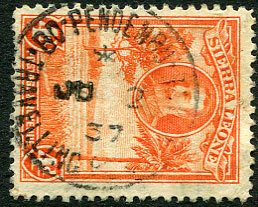 (T.21) on QV 1pi (SG.42). 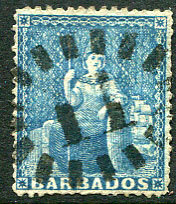 (C2) bootheel on 1872 (1d) blue Small star (SG.52).